If I suspend my Xubuntu 12.10, and then take my computer off the suspension, it doesn't request any password. I have tried adding the gnome-screensaver on autostart settings, which I read somewhere (go to settings manager>sessions and startup>application autostarts>add [gnome-screensaver]), but that doesn't work. How can I make my xubuntu request a password after suspension? In Xubuntu 12.10, session is no longer locked when you Suspend, so it doesn't ask for a password on wakeup. To solve this, we need to make changes to xfce4-session and xfce4-power-manager. We need to make changes in both Session and Startup as well as Xfce Power Manager. You would find both of them to be available under Settings Manager. 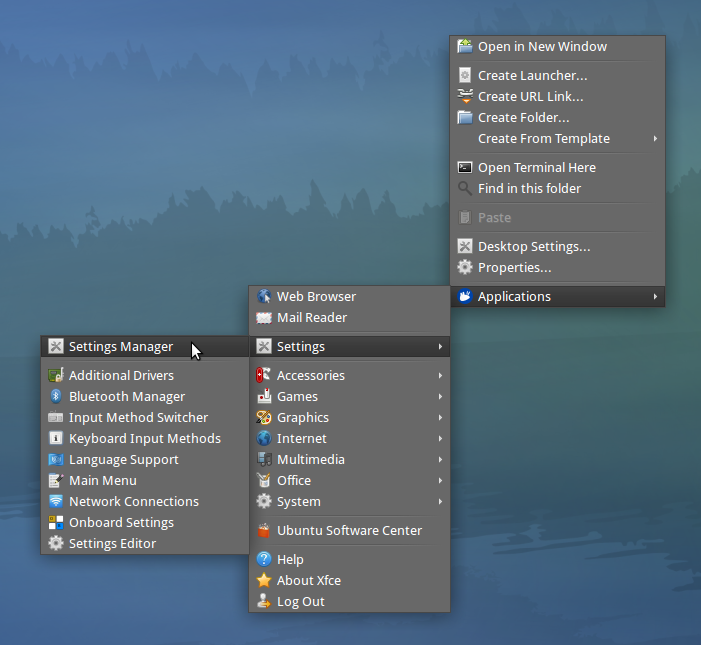 Right Click on your Desktop and navigate through Applications → Settings → Settings Manager to open it. Open Session and Startup → navigate to the Advanced Tab → put a checkmark next to Lock screen before sleep. 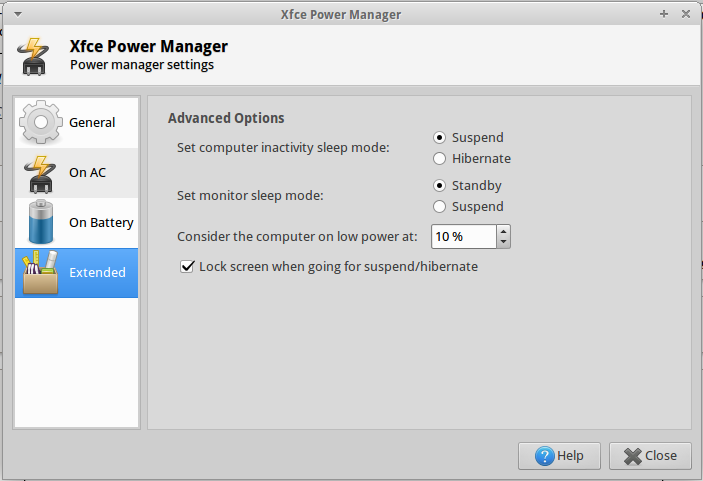 Open Xfce Power Manager → click on Extended in the sidebar → put a checkmark next to Lock screen when going for suspend/hibernate. Once you have made the changes, you should be asked for the password when you wakeup after Suspend. Acknowledgement: Information and images for Session and Startup and Xfce Power Manager courtesy this Ubuntu Forums Thread. Long story short: if these solutions aren't working for you, go to whisker menu --> settings --> session and startup --> application autostart, and make sure that "screen locker" is ticked. Not the answer you're looking for? Browse other questions tagged xubuntu password suspend or ask your own question. Why am I not asked for password at startup? How can I prevent Skype from starting automatically on boot? Xubuntu 16.04 doesn't seem to remember any changes I make to the startup applications.